Why use SV13 Sandstone Sealer? 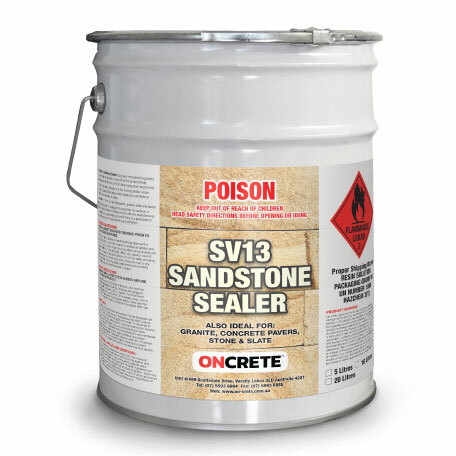 SV13 Sandstone Sealer is designed to enhance the colour of sandstone, granite, concrete pavers or slate. SV13 has excellent durability and helps protect against mould, water, dirt and oil. Contains a UV Absorber to improve protection from ultraviolet light durability.